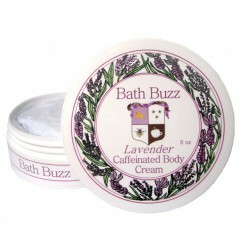 Bath Buzz lavender body cream is made with lavender essential oils and infused with caffeine. 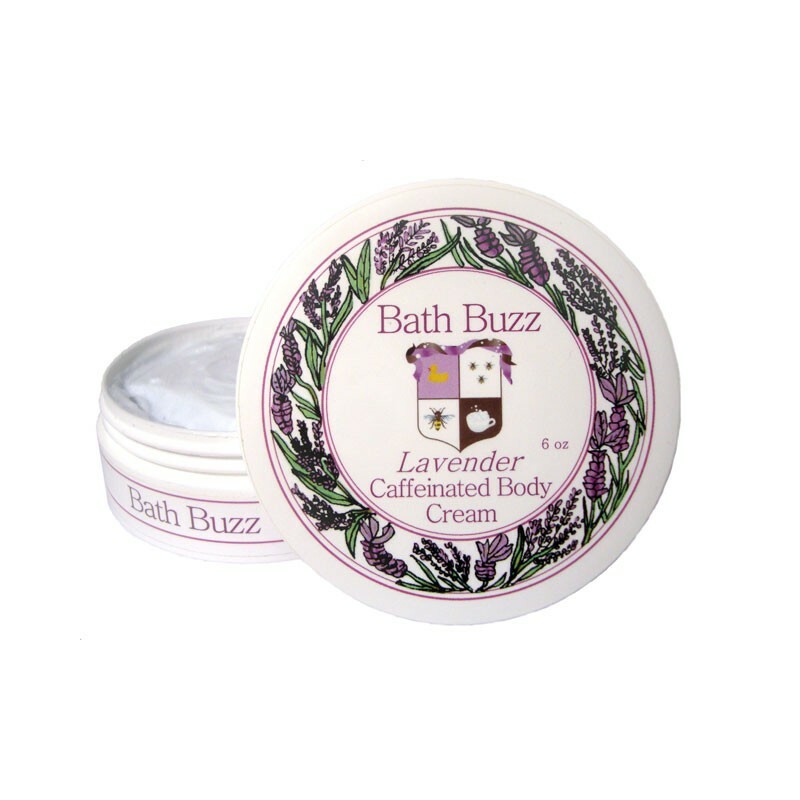 The lavender oil in the Bath Buzz cream is a calming fragrance that will calm your nerves and reduce your anxiety while the caffeine tones your skin. The cream also includes vitamins A,C, and E to nourish your skin, plus camomille, lavender, and aloe vera extract to leave your skin feeling silky soft.